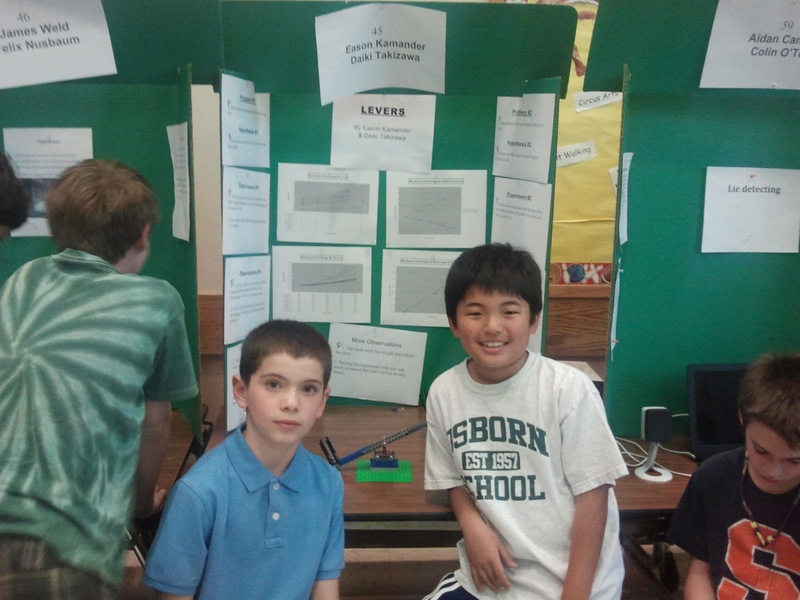 We had our School Science Fair. We did experiments with levers using Legos and quarters. My dad helped me make charts on our observations. All the students who participated presented our projects at the fair to parents, teachers and other students. When people came to our station we explained our problem and experiments. Bob needs to lift more units then he can lift. Levers can help Bob lift more units with less effort. Build a lever and move the fulcrum from the middle (position 0) closer to the load (up to position 4). Experiment with different amounts of effort (1-9 units). 1. As the fulcrum moved closer to the load, and farther from the effort, the percentage of effort to load increased. 2. As the effort increased, the increase in percentage of effort to load became more gradual. 3. The increase of percentage of effort to load was not steady. Jesse needs to lift units higher than he is able. Levers can help Jesse lift units higher than he is able. Build a lever and move the fulcrum from the middle (position 0) farther from the load (up to position 4). 1. As the fulcrum moved farther from the load and closer to the effort, the distance of the load increased while the distance of the effort decreased. 2. For every 1 centimeter that effort decreased, the distance of the load increased by 2 centimeters. 1. The lever itself has weight that offsets the units. 2. Starting the experiment with one side down increased that side’s ability to stay down.